7 lost masterpieces found at flea markets 4.5555555555556 out of 5 based on 9 ratings. 9 user reviews. 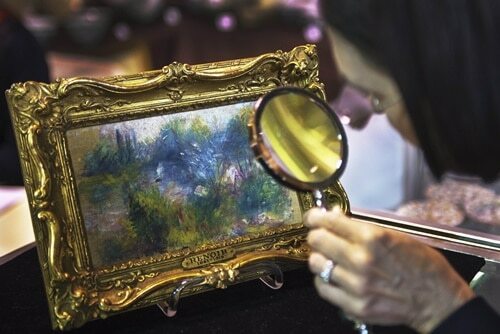 It is the dream of every bargain hunter to uncover at a flea market, a master’s painting, a rare piece, or a find that will make his or her fortune. 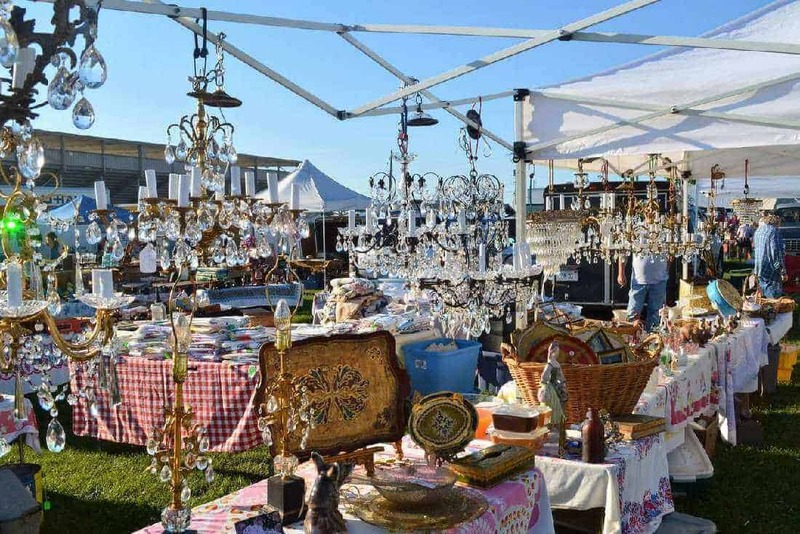 Far from being rare occurrences, finding treasures at flea markets actually happens on a pretty regular basis: vintage pieces of furniture & clothing by renown designers, jewelry, historical artefacts, silverware, crockery, and likes can regularly be found at flea markets around the world. But some finds truly stand out of the crowd. Like in the case of this New York family who bought a Chinese bowl for $3 at a garage sale back in 2007 and sold it a few years later for $2.23 million at Sotheby’s. 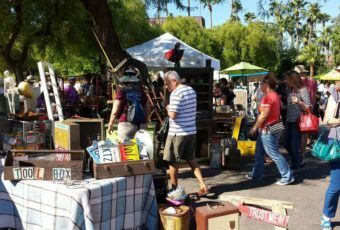 Of course, finding a treasure that will resell for hundreds of thousands or even millions of dollars, is the exception – the rule being that the “average” flea market treasure will usually resell for a few times its purchase price. But we never know when luck strikes. Like in the case of these lucky few, who have accidentally discovered the works of great masters – ignored or forgotten – at the flea market. 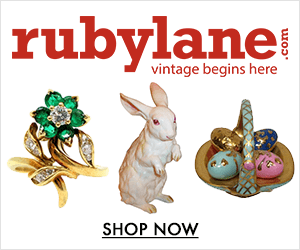 Here is the story of 7 amazing garage sales finds purchased for a few bucks, and that later turned out to be worth millions. The painting with a lovely frame had a place of choice on the kitchen wall. Its owner was about to tear the brown paper that covered the back of the artwork, when her mother noticed the label on the other side of the frame and suggested to show it to an auction house. The painting, purchased in early 2012 for less than $50 in a lot of trinkets at the Shenandoah Valley Flea Market in Virginia (USA), was actually the famous Paysage Bords de Seine by Pierre-Auguste Renoir, one of the most bankable painters in history. Estimated between $75,000 and $100,000, the small oil painting (23 cm x 14 cm) was about to be sold at an auction, when a museum in Baltimore (Maryland, USA) discovered that this very painting had actually been stolen from its permanent exposition back in 1951. Paysage Bords de Seine was immediately withdrawn from sale. Back in 2010, at a flea market in Las Vegas (Nevada, USA), British businessman Andy Fields bought a small lot of knick-knacks with no apparent value: five paintings for $5. 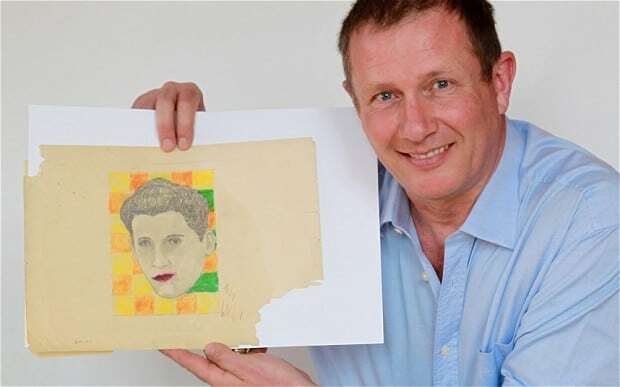 When he returned home to frame one of the paintings, he discovered, hidden in the back, a pop art portrait sketched on a background of yellow, orange and green squares, showing a man’s face believed to be 1930s singer and actor Rudy Vallee. The pictures, on discolored, tattered paper is signed Andy Warhol. After conducting his own research, Andy Fields discovered that the sketch dates back to 1939/1940, when the little Andrew Warhola, aged 11 to 12 years, was bedridden with cholera. This child’s drawing is historic because Warhol has officially launched the pop art at the age of 23. Experts estimate that this drawing is worth at least $ 1.5 million. But Andy Fields refused to sell it. 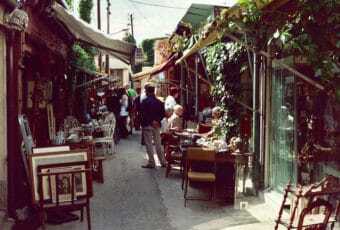 When it comes to flea markets, a “good eye” that is discerning and can spot rare beauty can lead to great things. In 2007, a New York family bought for $3 dollars a dish no bigger than a cereal bowl at a garage sale in New York state. With no idea as to its real worth, they kept it sitting on their mantle for years. Rare ‘Ding’ bowl sold for over $2 million at auction. Photo courtesy of Sotheby’s. The piece was actually a 1,000 years old Chinese “Ding” bowl, from the Northern Song Dynasty. A little less than 5 1/2 inches in diameter, the multimillion-dollar pottery bowl could be mistaken for a decorative ashtray. 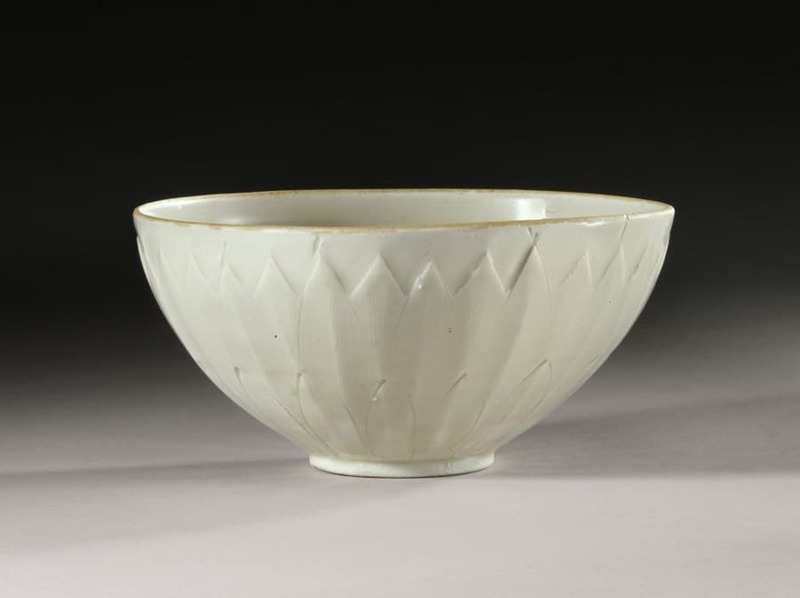 In 2013, the bowl sold for more than $2.2 million at an auction in Sotheby’s. In 1989, a Philadelphia man bought a cruddy torn painting featuring a dismal country scene, for $4 at a flea market in Adamstown, Pennsylvania, because he was interested in its frame. When he got home, he started investigating a tear in the canvas. After removing the painting he concluded the frame could not be salvaged, the frame broke apart and out fell a small folded document which appeared to be an old copy of the Declaration of Independence stored between the canvas and its wood backing. 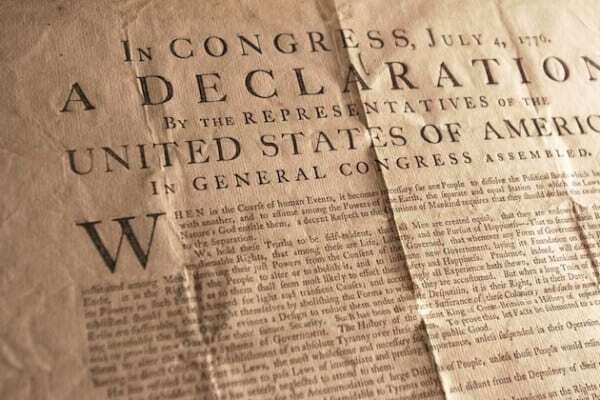 This original copy of the Declaration of Independence was stored between the canvas and the wood backing of a painting found at the flea market. After one of his friend advised him to have it appraised, he learned that the document was in fact a rare original Dunlap broadside, one of 24 surviving copies from the first printing of the Declaration of Independence in 1776. Two years later, the document was auctioned for $2,420,000 at Sotheby’s. There is good luck, outrageous good fortune — and now there is the case of the Midwest scrap metal dealer who found one of the eight missing Fabergé imperial eggs at a local antiques mart. The man paid $14,000 for the item. At first, he intended to melt down the egg for scrap, but since the egg contained a Vacheron Constantin watch, he figured he could sell it at slightly above the gold value, for a quick $15,000. But no one was interested. Fortunately. 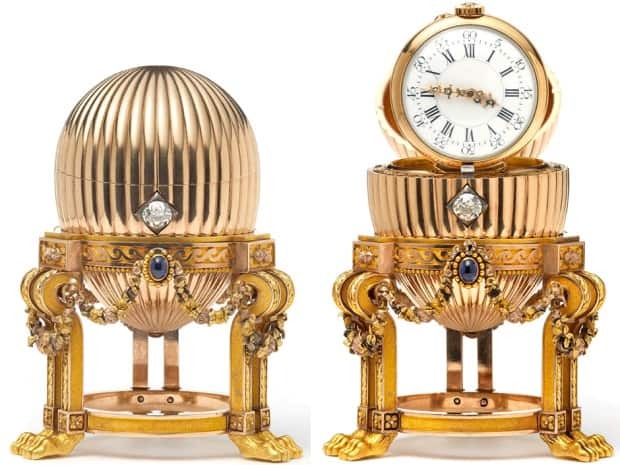 In despair, the scrap metal dealer typed the keywords “egg” and “Vacheron Constantin” into Google and came up with a Telegraph article about a lost imperial Fabergé Easter egg which was given by Alexander III to his wife Empress Maria Feodorovna in Easter 1887. He then began to suspect he was holding a rare piece, worth a reported $33 million. The lost imperial Fabergé Easter egg which was given by Alexander III to his wife Empress Maria Feodorovna in Easter 1887, worth a reported $33 million. The Wartski representative who travelled from London to verify the genuineness of the Fabergé egg, discovered that the scrap-metal dealer lived in a modest home next to a highway and a Dunkin’ Donuts. The Fabergé egg was sitting on the kitchen counter, next to some cupcakes. Only fifty of the imperial eggs were made for the royal family, and eight remained missing before the latest find, though only three of those are known to have survived the Russian revolution. Back in 1992, Truck driver Teri Horton wanted to cheer up a depressed friend by offering her, as a joke, a lousy painting. 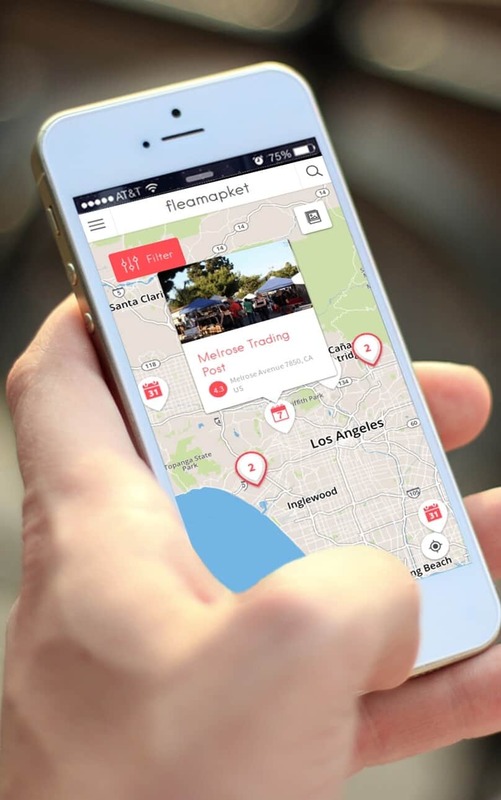 At a California flea market, she found a large canvas full of red, white, black and yellow paint splatters. Her friend was however not depressed enough to accept this gift, which would have taken too much space in the mobile home she called home. When Teri Horton tried to resell the painting at another garage sale, an art teacher from the area told her that the painting could actually be a Jackson Pollock. “Jackson who?” Teri Horton had never heard of the American painter before that day. Since then, the artwork divides the experts. The painting features a fingerprint that could belong to Pollock. But the family of the artist doubt it does. If this painting is really by Jackson Pollock, then it could be worth several million dollars, maybe even a hundred million. In the meantime, Teri Horton wants at least $50 million for her painting and refuses any offer below that amount. But until then, she’ll have to wait until her $5 purchase has been authenticated. 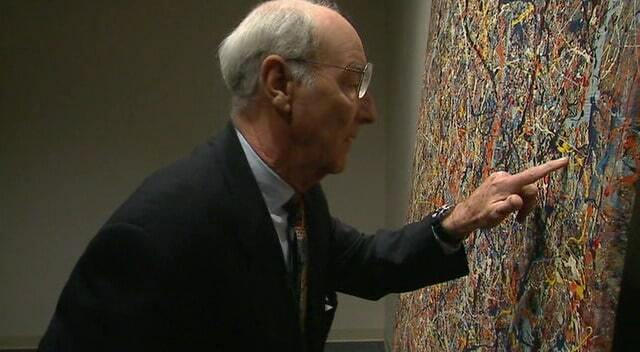 Its endless story even became the topic of a documentary called Who the #$&% Is Jackson Pollock? Sometimes patience pays off. Back in 2000, Rick Norsigian, a painter working for the maintenance department of a school district in California, bought two boxes containing 61 photographic plates for $45 at a garage sale in Fresno (California, USA). The merchant tells Norsigian that he acquired the glass plates in the 1940s, at a warehouse salvage sale in Los Angeles. Even though at first Rick Norsigian had no idea of the real value of his collection, he nonetheless found intriguing similarities between these photographic negatives, and the work of Ansel Adams, who was famous for its black and white photographs of the American West. However, just as the find was being heralded as one of the greatest in art history (and probably worth millions), Ansel Adams’ relatives and Publishing Rights Trust expressed skepticism that they were in fact Adams’. Between 2000 and 2010, Norsigian tried to prove with the help of experts, that the 65 old-fashioned glass-plate negatives he bought at the Fresno garage sale, were taken by Adams in the 1920s and 1930s. In 2010, after the story took a number of twists and turns that contributed to the “deepening mystery”, the Ansel Adams Publishing Rights Trust and Norsigian eventually ended up filing lawsuits against each other. Today, while Norsigian is allowed to sell prints of the negatives (from $1,500 to $7,500 a pop), he has agreed to not use Ansel Adams’ name or trademark while doing so. And until it will have been formally proven that the negatives indeed represent a previously missing chapter in the photographer’s oeuvre, Norsigian won’t be able to get his $200 million. 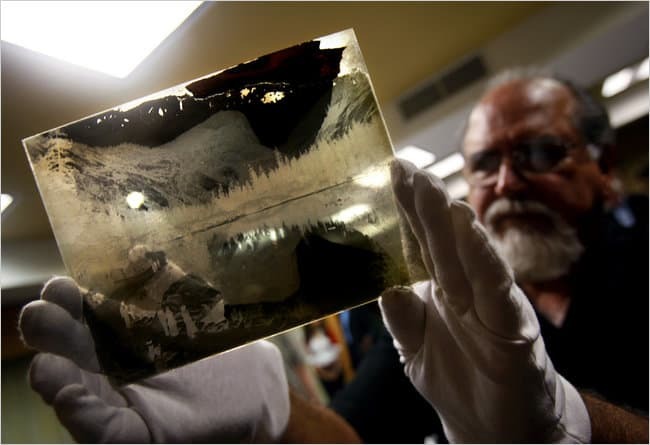 As per how these 6.5-inch x 8.5-inch glass plate negatives of famous Yosemite landscapes and San Francisco landmarks might have made their way from Adams’ collection 70 years ago to a Southern California garage sale in 2000, remains to date a total mystery.